This great value accommodation can sleep up to 52 guests in a variety of rooms. 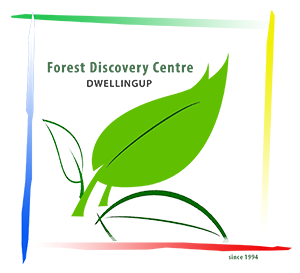 The Jarrah Forest Lodge has a number of shared facilities. These include a large well equipped kitchen with a spacious dining room, a relaxing recreation room, outdoor BBQ and gazebo area and four bathroom/shower facilities. (5 toilets and 9 showers). There is also conference room that is ideal for meetings, group/club activities, and retreats, that can be booked for a separate fee. Conference Room: $100 per day for staying guests or $150 per day for Conference Room Hire Only. FDC Creative Course participants: $5 per person per night discount. 'Friends of the FDC' 10% Discount off mid week accommodation - please list your 'Friends' membership number in the online booking forms comments section. EXCLUSIVE LODGE BOOKINGS: Enjoy the advantages of having the Jarrah Forest Lodge all to yourself. Exclusive use enables you to set up activities / decorations in shared spaces eg. dinning room and rec room, with out needing to be concerned about other guests and there is no need to worry about noise interrupting anyone else. Your birthday, wedding, or family reunion can go on to the wee hours and no one will mind, or enjoy quite tranquility on your yoga retreat without having other guests interrupting. Enjoy accommodation for up to 36 guests in the 16 Twin Share Rooms and Family Room 1. A two night minimum stay applies. For 2 Nights, total cost: $2562 (Family Rooms 2 & 3 and the Cottage can be booked separately). Enjoy accommodation for up to 36 guests in the 16 Twin Share Rooms and Family Room 1 at a 20% discount. A two night minimum stay applies. For 2 Nights, total cost: $2050 (Family Rooms 2 & 3 and the Cottage can be booked separately including discount). Take advantage of the opportunity to book only one nights exclusive use of the 16 Twin Share Rooms and Family Room 1 mid-week. 1 Night, total cost: $1281 (Family Rooms 2 & 3 and the Cottage can be booked separately). DEPOSIT: A 50% Deposit is required to secure your booking. BALANCE OF PAYMENT: The balance owing is due prior to your stay. FOR SAME DAY BOOKINGS: Please call instead of using our Online Booking Form. Exclusive Use cancellations less than 30 days prior to your booking will incur a forfeit of your 50% deposit. All other cancellations less than 14 days prior to your booking will incur a forfeit of your 50% deposit. No refunds will be given for any unused accommodation. E.g. booked and stayed 4 nights but only choose to stay 3. To book, please use the Online Booking Form opposite.